Salsa is one of my most favorite foods and it always has. As a child my mom would by salsa by 1/2 gallon because I would eat it with everything. Mostly, I’ve enjoyed traditional salsa, that is until I had mango salsa. This sweet and spicy is the perfect treat for any time. The salsa is delicious by itself or stuffed into an avocado. Mix all ingredients together except avocado and allow to sit for 1 hour. Slice avocado in half and remove the seed. Gently scoop out some of the avocado, leaving a small border. Dice avocado and mix with the salsa. 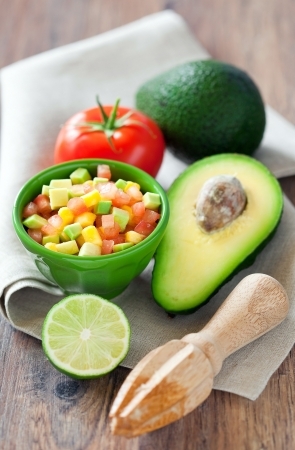 Stuff the avocado with the mango salsa and enjoy! Leave me a message below to let me know how you like it.